Amy Pleasant Makes her Whitespace Debut with "re /form"
For the first show of the new year, whitespace gallery will exhibit re/form by Amy Pleasant, her whitespace debut, featuring new works in a variety of media, including paintings, drawings, and objects. Amy Pleasant’s long nurtured interest in archeology and relics is formative in her work, and her new show acts as an archeological dig of her past works. While her previous works unfold like storyboards, recording the repetitive activities of everyday life, Amy’s new works are a more refined, less narrative effort to excavate the smaller moments of everyday life. 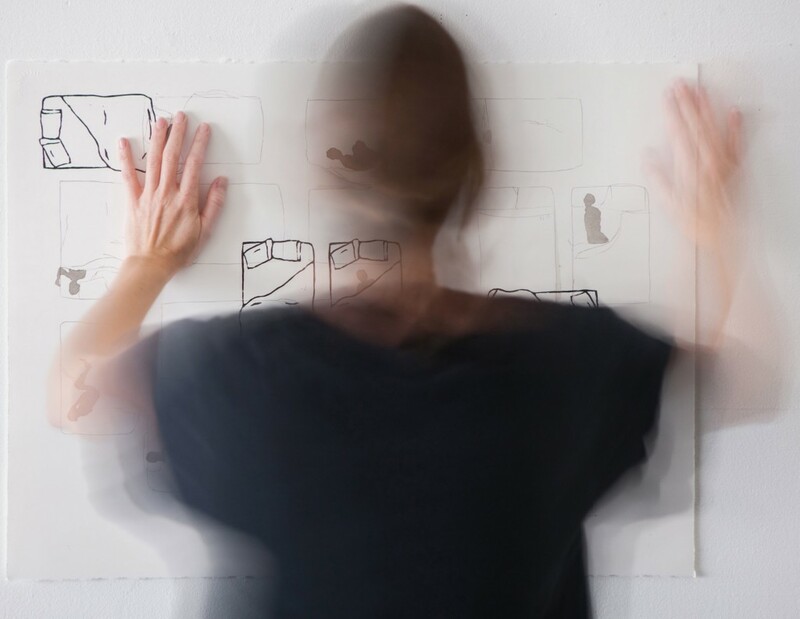 With re/form, Amy continues to explore her interest in gesture and marks and presents drawings that oscillate between simplicity and complexity. Using simple, singular strokes, Amy creates images that retain the qualities of a specific gesture or convey a particular tone that is recognizable to the viewer. The physical uniqueness of the gallery space at whitespace served as an additional inspiration for the new body of work and influenced how she approached the series. She drew from the building materials and reflected on the utilitarian use of the gallery to explore how people inhabit space. The exhibition incorporates source material and invites the audience to consider how the history of the figure in art has shaped our understanding of the human experience. In this way, the space itself is treated as a component of the installation with the work and the space “animating” each other. Amy Pleasant received her BFA from The School of the Art Institute of Chicago and an MFA from The Tyler School of Art, Philadelphia, PA. She has held solo exhibitions at Jeff Bailey Gallery, NY; The Birmingham Museum of Art; The Atlanta Contemporary Art Center; CANDYLAND, Stockholm, Sweden; Rhodes College; Tandem Gallery; The Ruby Green Center for Contemporary Art; and The University of Alabama at Birmingham. This entry was posted in Uncategorized on January 9, 2014 by Whitespace. looks very interesting will drop by tonight.